Gadget Cover Insurance was first established in 1995, and in its 20 years since has insured more than half a million people in the UK alone. The UK’s longest established gadget and mobile insurance provider, Gadget Cover is an award-winning company that offers comprehensive protection with a range of benefits. Cover is extended to immediate family, and includes use of your gadget anywhere in the world for up to 90 days in any one year, and customers are able to make unlimited claims, unlike many other gadget insurers. Policies also include an account where you can store digital material such as photos or music. Gadget Cover also offers an innovative ‘no claims’ bonus scheme, which gives 25% off the excess fee after one claim-free year, 50% off the excess fee after two claim-free years, 75% off after three claim-free years and no excess fees at all after four claim-free years. If your claim is for a gadget up to the value of under £500 (when new) the excess fee will be £50. For any other gadget, the excess fee is £50 for a theft or damage claim and £75 for an accidental loss claim. If you make a claim within the first 3 months of your policy there will be an additional excess fee to pay of £25. Right for you? Get a Gadget Cover online quote. How much does it cost to insure a gadget with Gadget Cover? The cost of gadget insurance with Gadget Cover will depend on the gadget you insure and the level of cover you require. However, all new customers are offered 12 months’ cover for the price of 11 as standard, and there are no administration fees involved. Get a tailored Gadget Cover Insurance quote here. What do Gadget Cover Insurance reviews from customers say? According to more than 800 reviews on TrustPilot, Gadget Cover scores an average 5/10, with more than two-thirds of reviewers giving the brand four or five stars out of a maximum of five. 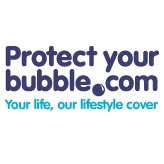 What do Gadget Cover Insurance reviews from the experts say? According to Defaqto – the independent financial products review service – Gadget Cover’s policy scores the maximum five stars, making it ‘an excellent product with a comprehensive range of features and benefits’. Get a quote from Gadget Cover Insurance. You can also use the collective buying you share with other people by joining one of our phone and gadget insurance groups.